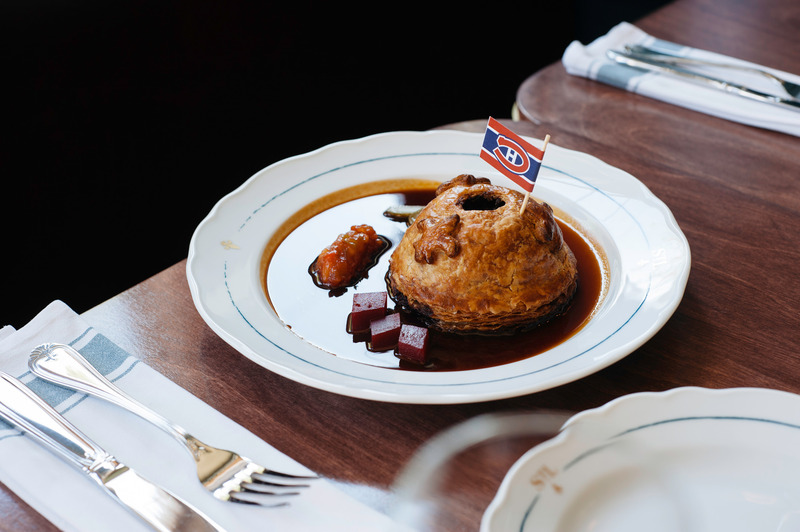 Chef J.C. Poirier is bringing a taste of Quebec to Vancouver. 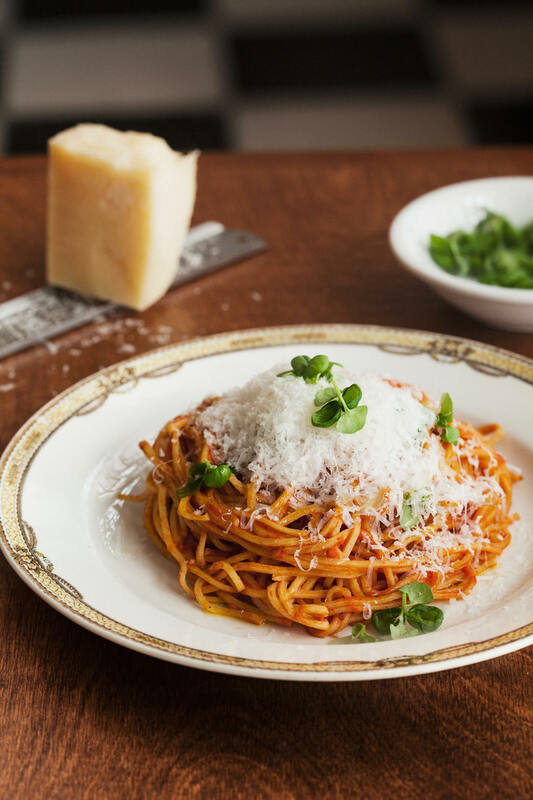 Ask for Luigi is chef Poirier’s casual, intimate pasta restaurant. 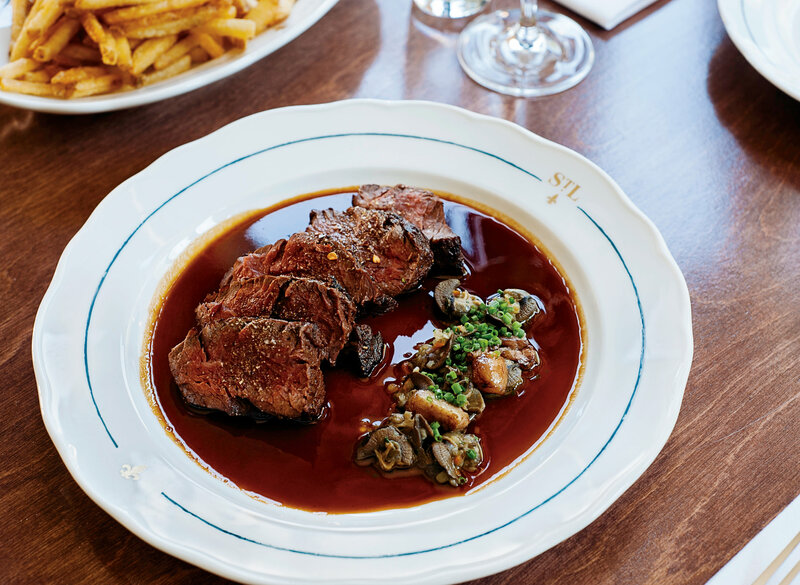 At St. Lawrence, Chef Poirier prepares elegant interpretations of classic French and elevated regional Québécois fare. Photo by Glasfurd & Walker. Steak St. Lawrence with escargot and fries from St. Lawrence. Venison-filled tourtière from St. Lawrence. Duck Ballotine with maple sauce. A spaghetti dish from Ask For Luigi. 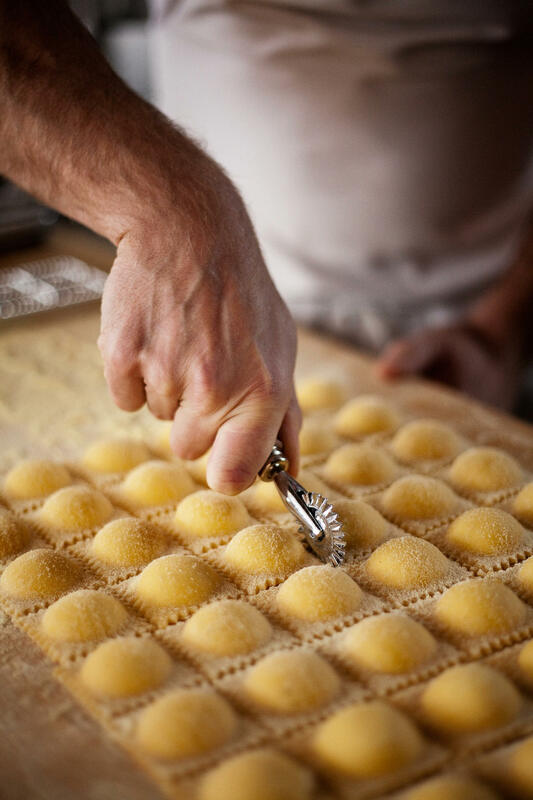 The pasta at Ask For Luigi is made in-house, by hand. Poirier has earned many plaudits for Ask for Luigi. 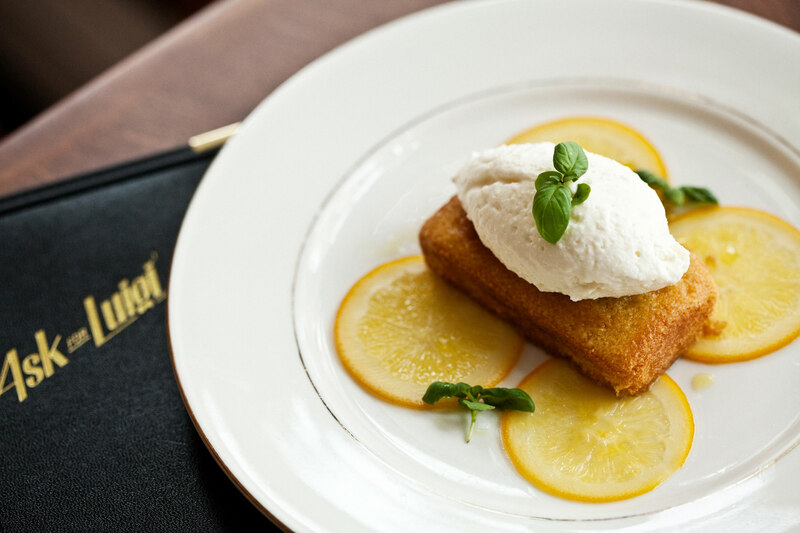 Olive oil cake from Ask For Luigi. It’s 1:00 p.m. on a Friday, and the kitchen brigade of St. Lawrence restaurant is a study in quiet efficiency. Chef J.C. (Jean-Christophe) Poirier cleans endive leaves for a salad with apples, pecans, and blue cheese. His chef de cuisine Ashley Kurtz works on foie gras mousse to be sandwiched between choux pastry for the show-stopping Paris-Brest while his sous-chef Colin Johnson butchers lamb for braising with gnocchi à la Parisienne. There are herbs being picked into tubs, sauces gently simmering, and waffle-cut potatoes being fried. A heroic amount of mise en place goes into preparing Poirier’s elegant interpretations of classical French and elevated regional Québécois fare at St. Lawrence, but the five cooks work together in a loose, easy rhythm; this same synchronicity carries them through dinner service for a fully booked restaurant five nights a week. It’s a beautiful dance, the kitchen team working as a cohesive unit toward a delicious goal. Les Remparts in Old Montreal was Poirier’s first stint in a professional kitchen, in an utterly classical French restaurant. 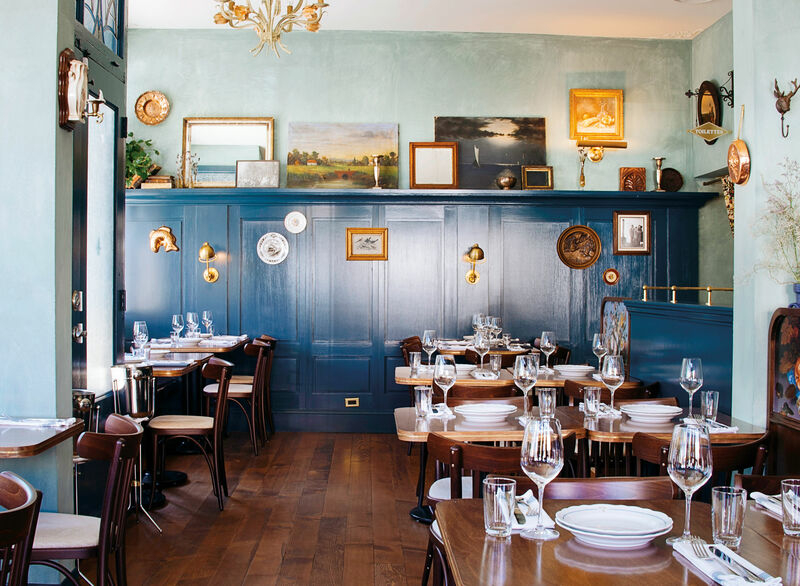 “Sweetbreads with peeled grapes, venison with huckleberry sauce—the old-school dishes really resonated with me.” Two years later, he transitioned to Toqué! under the expert tutelage of Normand Laprise. 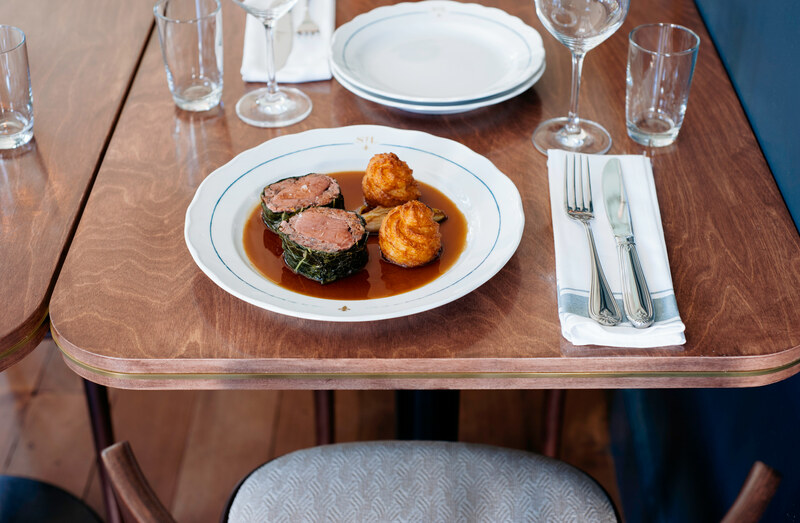 He progressed through the brigade from commis to chef de partie, learning every aspect of Laprise’s playful, ingredient-driven expression of Québécois haute cuisine, firmly rooted in seasonality and terroir. 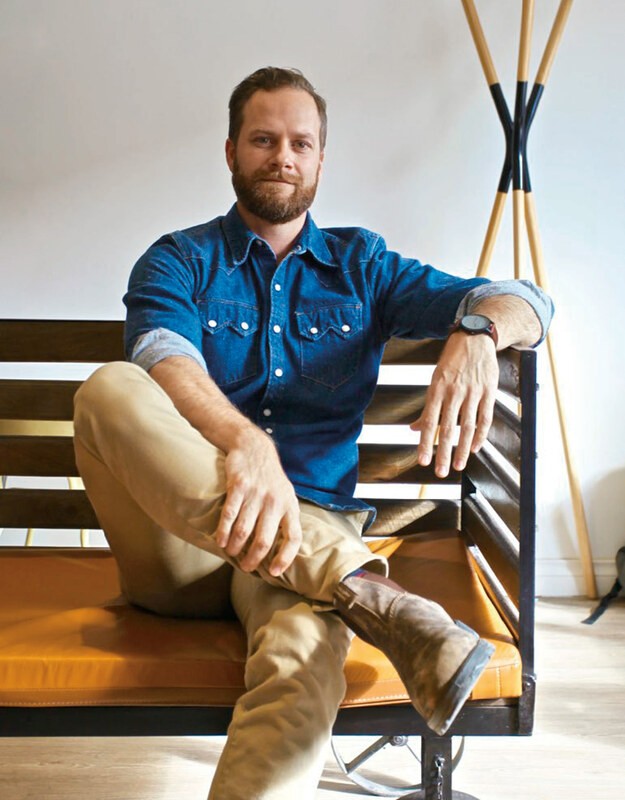 Poirier’s initial forays into cooking were born out of his love of eating. 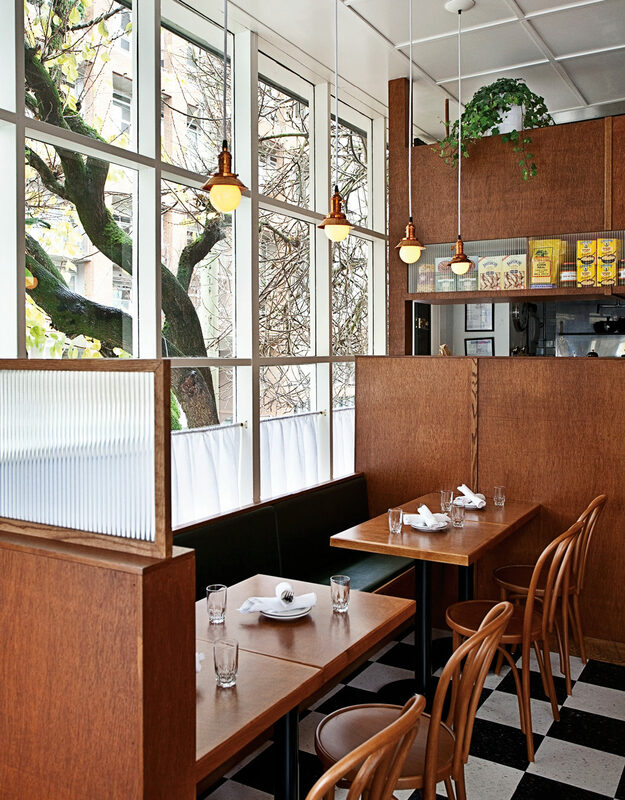 A chance to cook with Rob Feenie and Marc-André Choquette in Lumière’s newly renovated kitchen spurred his move to the West Coast in 2004, but opening Chow is what vaulted Poirier into Vancouver’s culinary spotlight. “We did a lot of great things in terms of translating local ingredients and doing butchery in-house. The food was lighter and vegetable-focused,” he explains. 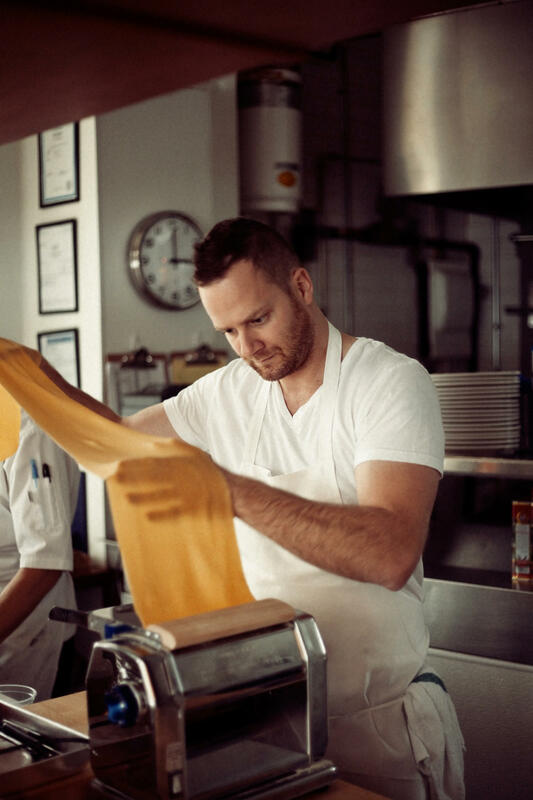 The young chef’s debut as a restaurant owner garnered critical acclaim, with the restaurant being named one of the 20 best new restaurants in Canada by enRoute magazine. In the wake of Chow’s closure and his soul-searching travels, Poirier’s mind was racing in a number of different directions. He accepted an executive chef role at Pourhouse in 2011 that was more of a consulting gig, but it introduced him to his current business partners, a move that would swiftly turn the tide of his career. Together, they opened pocket-sized Pizzeria Farina late that summer, followed by Ask for Luigi in late 2013. Faced with a tough choice, he handed the reins of Ask for Luigi to his chef de cuisine, Letitia Wan, and wholeheartedly threw himself into realizing his vision. “I wanted to mesh old-school French cooking techniques with the Québécois cuisine I grew up with, the food that’s closest to my heart.” It was an opportunity to carve out a unique niche in Vancouver’s dining landscape, and it became Poirier’s all-consuming purpose.